Jedda retrieving while Timber and Neyshun supervise! 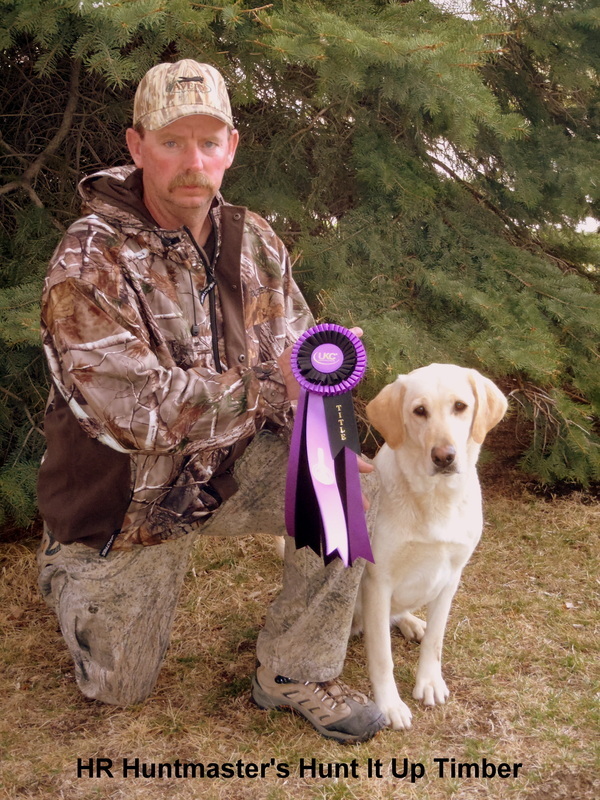 Timber's grandsire, Aspen's Godda Woody, won both the Colorado Open Pheasant Championship and the Kansas State Pheasant Championship in 2004. 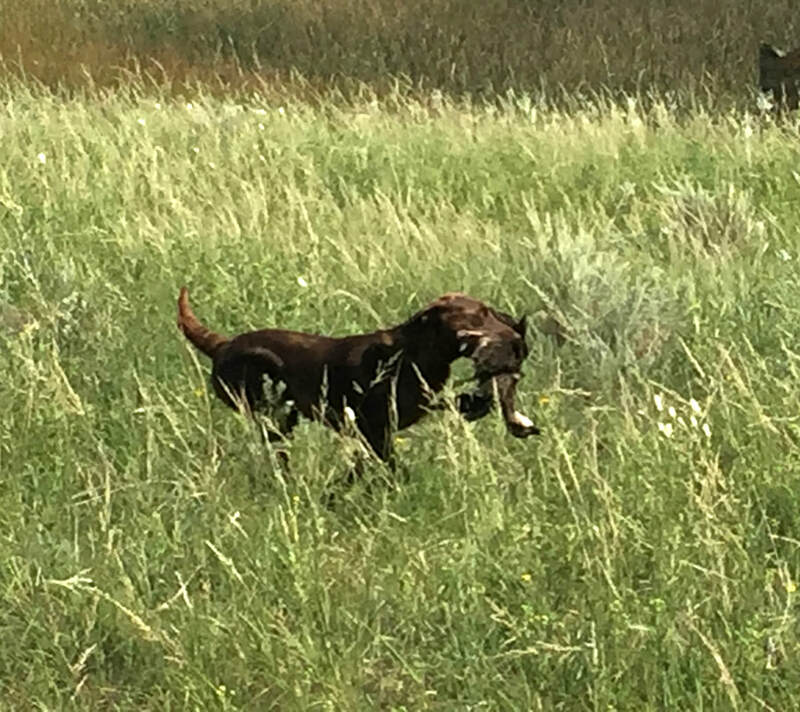 Timber has excellent hunting skills with lots of drive and marking ability. This will be an all yellow litter and Timber's final breeding. Neyshun was whelped 8-29-2011. 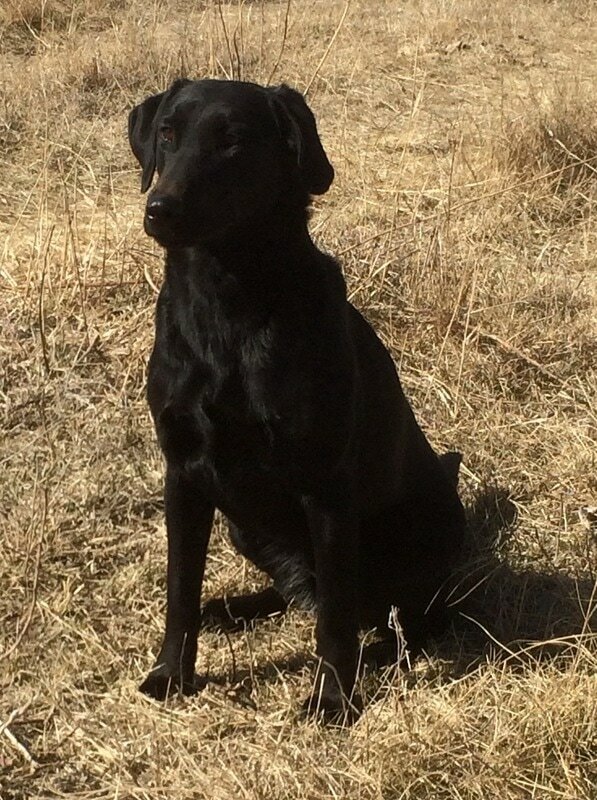 She has earned her HRCH title and loves to hunt! 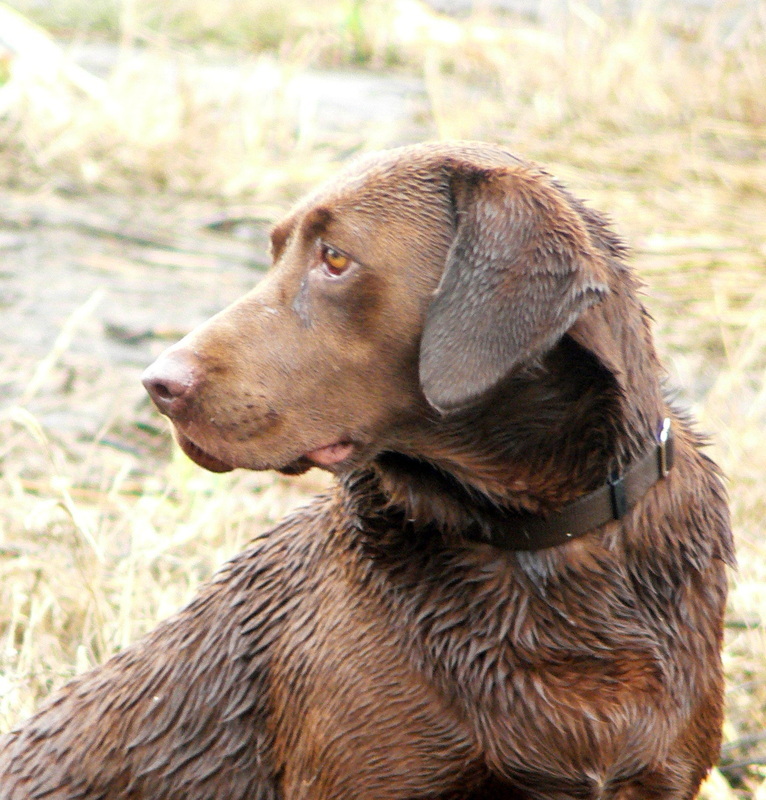 Her grandsire, FC- AFC- CFC- CAFC Barracuda Blue MH is the first and only chocolate labrador to obtain the five major field titles which makes him the most titled chocolate lab in the AKC! 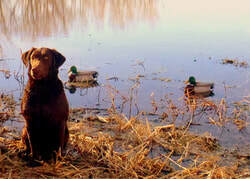 Her dam, Aspen's Finest Kaluha, has a pedigree full of NFC's and NAFC's from 1941 to date including Barracuda Blue. Kaluha also has 33 out of 100 Retriever Field Trial Hall of Fame Dogs in her background. Neyshun has incredible marking ability and has proven herself as an offspring of such outstanding champions! She is a 65 pound athletic built powerhouse with incredible drive and is a joy to hunt behind. 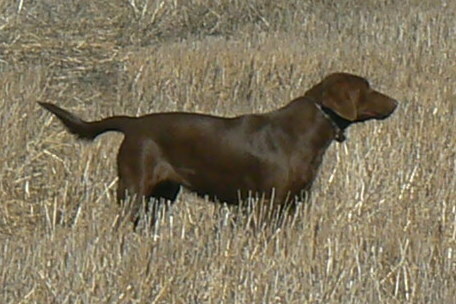 HRCH Lincoln Creek's Marking Maverick (shown below). This all chocolate litter was whelped January 20, 2019! ​This will be Neyshun's final breeding. 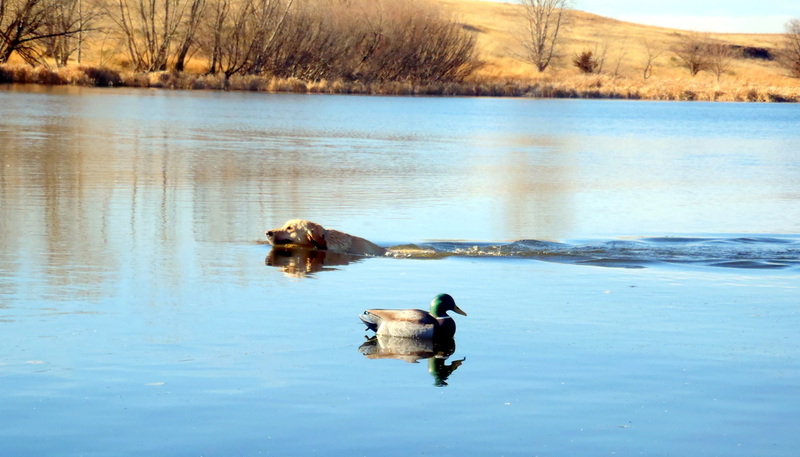 We have watched Maverick go from a Started to Finished retriever in the HRC and he continues to impress! 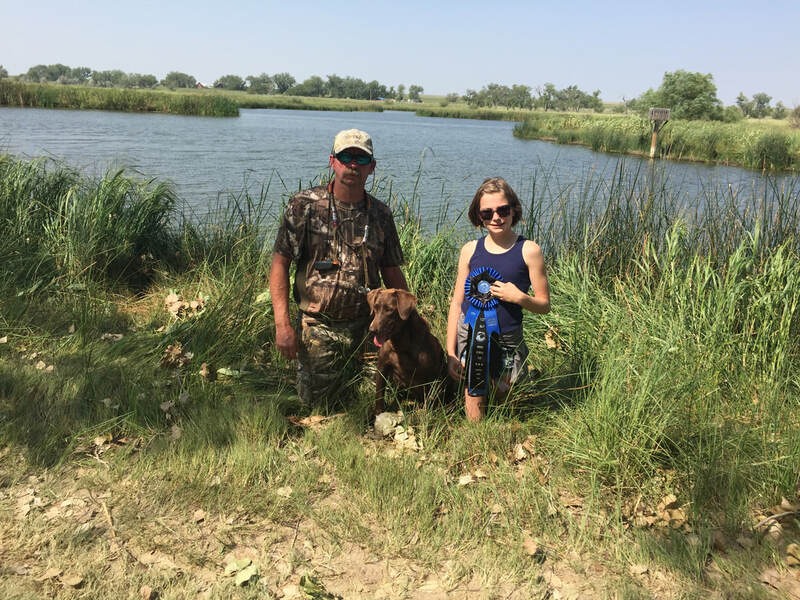 Maverick and his owner, Riley Sandall have earned his HRCH title, AKC Senior Hunting title and have goals of attaining his UKC Upland Hunting title and AKC Master Hunting title. 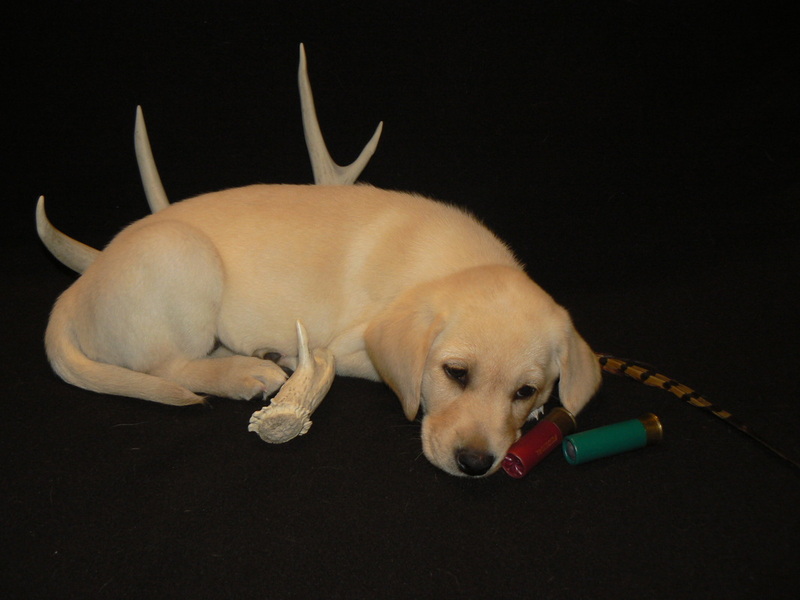 Maverick will no doubt reach these goals because of his natural hunting ability and unstoppable drive. He's a hunter's dream, gentle and low key in the house and full of desire and drive in the field. 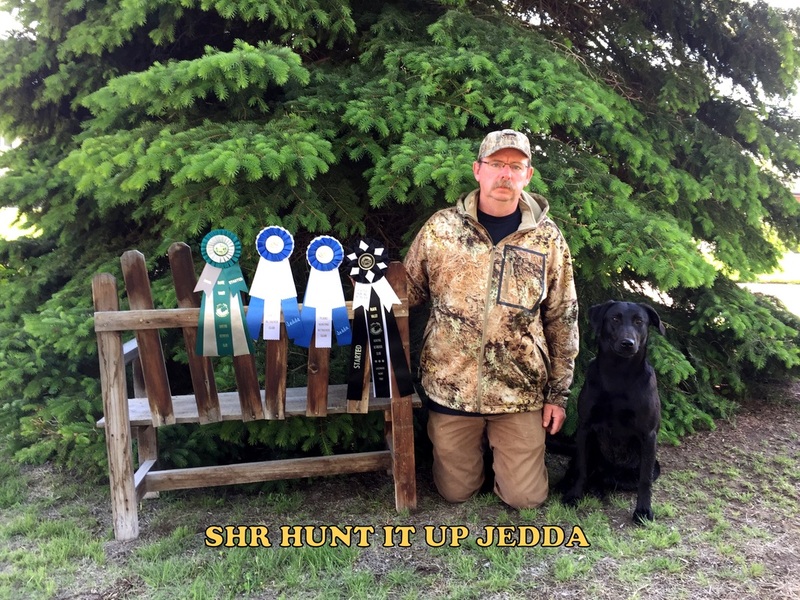 Jedda was whelped 12-31-2014 out of our own Neyshun and HR Plateau Smokes Prairie Angus. She has earned her SHR title and will continue on to the next level! She's got incredible drive and ability with an awesome personality. 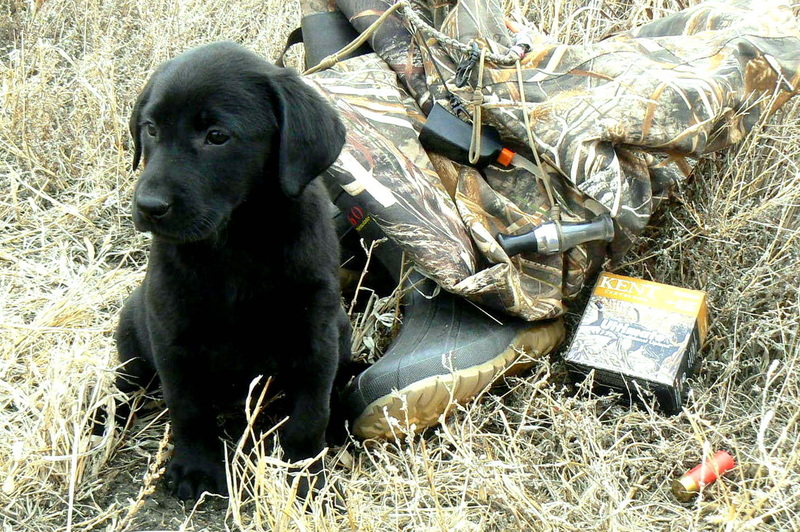 Whether she's pumped up ready to run at a hunt test, hunting pheasants or simply playing with the grand-kids she aims to please!